The Colonial Inn is a cozy victorian, family style, Bed and Breakfast with 12 guest rooms with private baths. 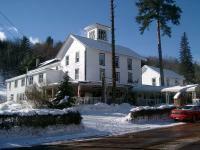 Located in the heart of the Catskill High Peak Region and just 1 Mile from Belleayre Mtn. Ski Center.